The 2017-18 NBA season schedule was released on Monday with countless storylines. No storyline will be bigger than the yet-to-be-determined fallout of Cleveland Cavaliers point guard Kyrie Irving asking for a trade. Wherever the NBA All-Star guard debuts next season and when he plays in Cleveland for the first time will be heavily followed. There were rumors that the league was pushing back on releasing its schedule in hopes of finding out where Irving could land first for television reasons. Carmelo Anthony, Chris Paul, Paul George and the Golden State Warriors also headline some of the NBA’s biggest games next season. 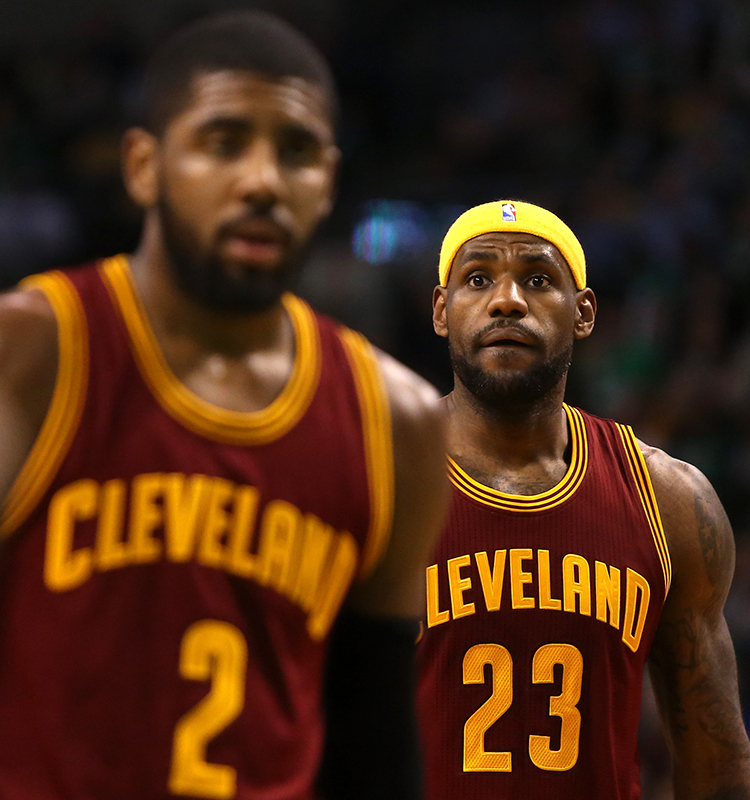 LeBron James #23 of the Cleveland Cavaliers looks on as teammate Kyrie Irving #2 prepares to take a free throw. Regardless of whether Irving plays his first game in Cleveland with or without a Cavaliers uniform, it should be quite interesting. Irving has asked for a trade because he does not want to play with Cavaliers superstar LeBron James anymore, and Irving prefers to be the face of a franchise. Irving’s request could be the first domino that falls in a potential end to the Cavaliers’ recent reign over the Eastern Conference unless James eventually decides to stay long term. 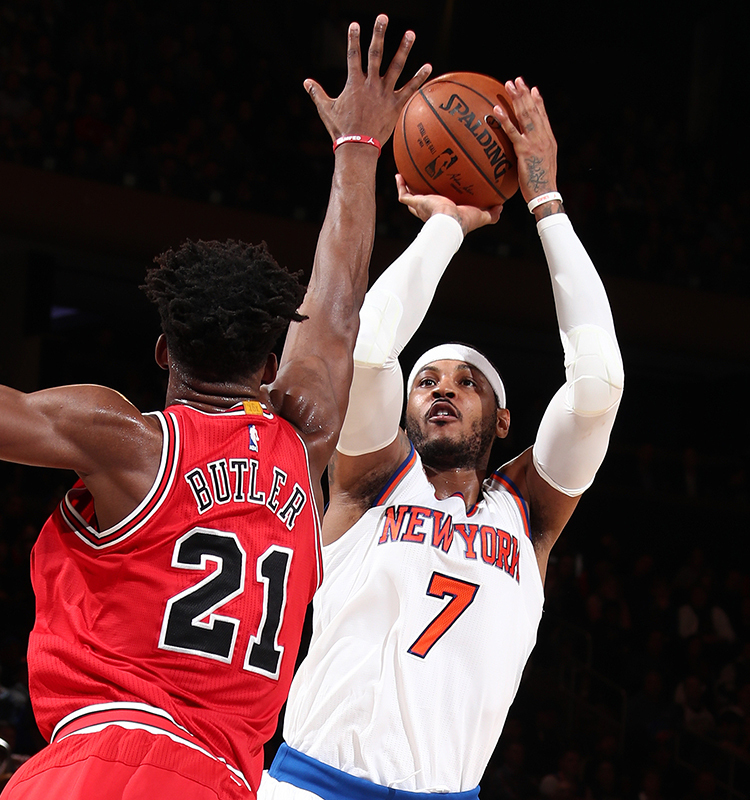 Carmelo Anthony #7 of the New York Knicks shoots the ball against the Chicago Bulls. Regardless of whether Carmelo Anthony plays his first game next season in New York City with or without a New York Knicks uniform, it also should be quite interesting. Anthony owns a no-trade clause and wants to be traded to the Houston Rockets. The Knicks appear to want to trade Anthony, but only for the right price. While Anthony’s time with the Knicks has been more down than up, he has been beloved by the Knicks franchise. Should the Knicks retire his jersey one day? 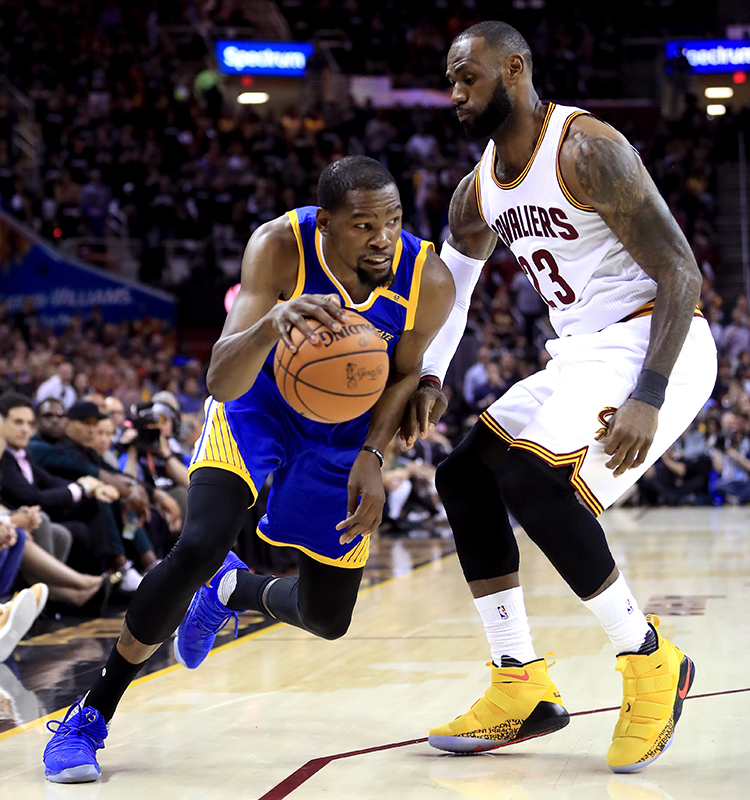 After three straight NBA Finals meetings, James and the Cavaliers return to Oracle Arena to meet the Golden State Warriors for the first time next season. Whether Irving will be in a Cavaliers uniform remains to be seen. Either way, the Cavaliers versus Warriors rivalry is real until James decides to go elsewhere. 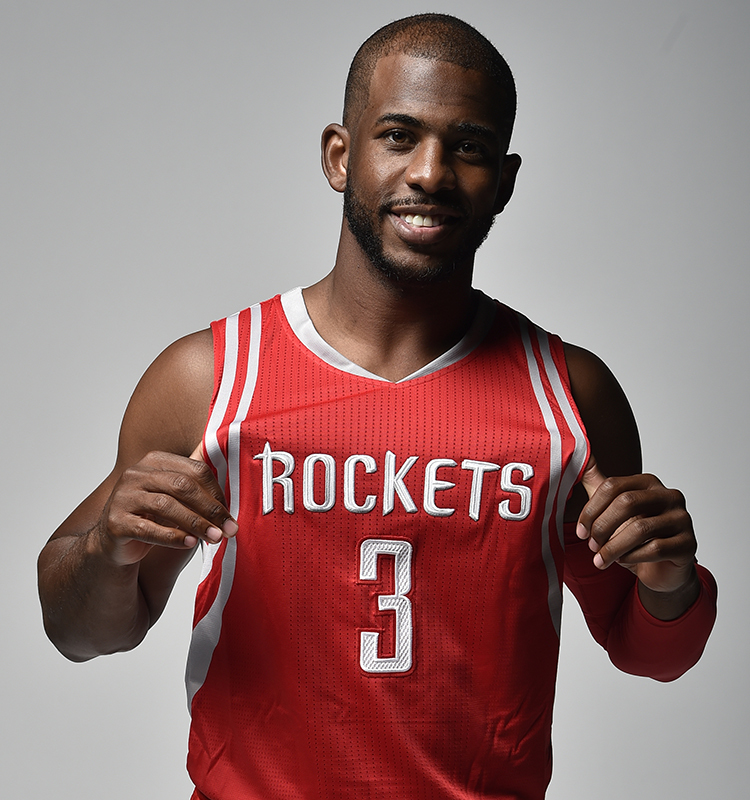 Chris Paul will make his debut with the Rockets after playing with the Los Angeles Clippers the past six seasons. It will be Paul’s first game in the Rockets’ backcourt with fellow All-Star James Harden. It also will be the Warriors’ regular-season opener. They will raise their second NBA championship banner in three years. 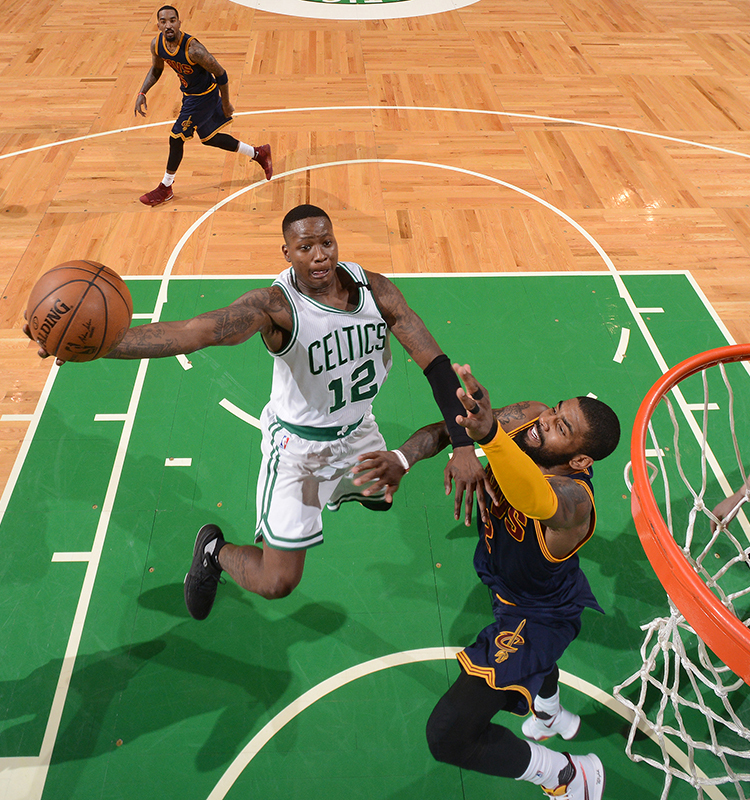 Terry Rozier #12 of the Boston Celtics goes up for a lay up against the Cleveland Cavaliers. The new-look Boston Celtics with newcomer Gordon Hayward start the season against LeBron James and the Cavaliers. The Celtics open as the biggest threat to Cleveland in the Eastern Conference. The Celtics also have an exciting young rookie making his debut in Jayson Tatum, who starred in summer league action and should play a significant role. Expect James to want to make a statement with his Cavaliers, who dominated the Celtics last season. 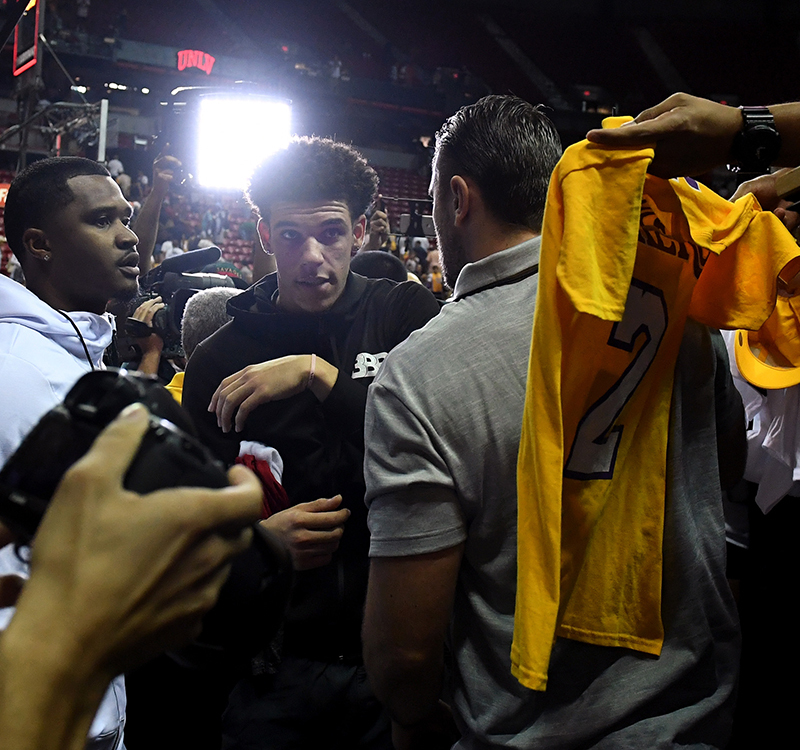 Lonzo Ball #2 of the Los Angeles Lakers makes his way off the court. The 2017 NBA rookie class could go down as one of the greatest of all time. But the one rookie getting the most attention is the Los Angeles Lakers’ Lonzo Ball because of his fun pass-first game and his outspoken father, LaVar, of Big Baller Brand fame. This contest against the in-city rival Clippers also is the debut of gritty, defensive-minded point guard Patrick Beverley, who will make it his mission to shut down the rookie Ball. It also will be Hall of Famer Magic Johnson’s first game as president of basketball operations of the Lakers. Paul George #13 of the Oklahoma City Thunder. 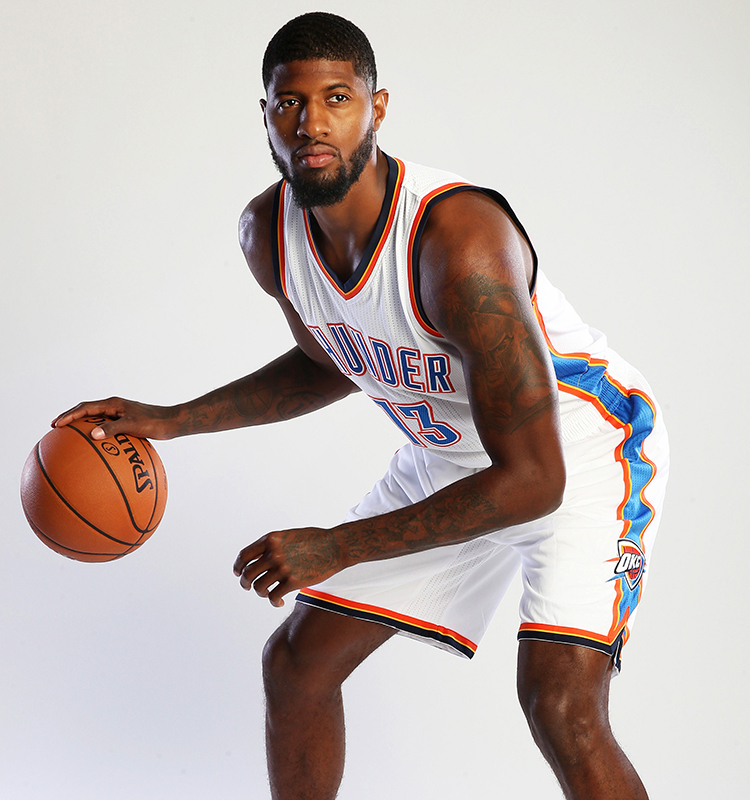 One of the biggest surprises of the offseason was George being traded from the Indiana Pacers to the Oklahoma City Thunder. There is a good chance the Thunder could lose George for nothing, as he will be an unrestricted free agent next summer. Keep in mind that George is joining forces with 2017 NBA MVP Russell Westbrook, who has yet to sign an offered contract extension with the Thunder. George and Westbrook, who debut against the Knicks, should be fun to watch, but will it last beyond next season? 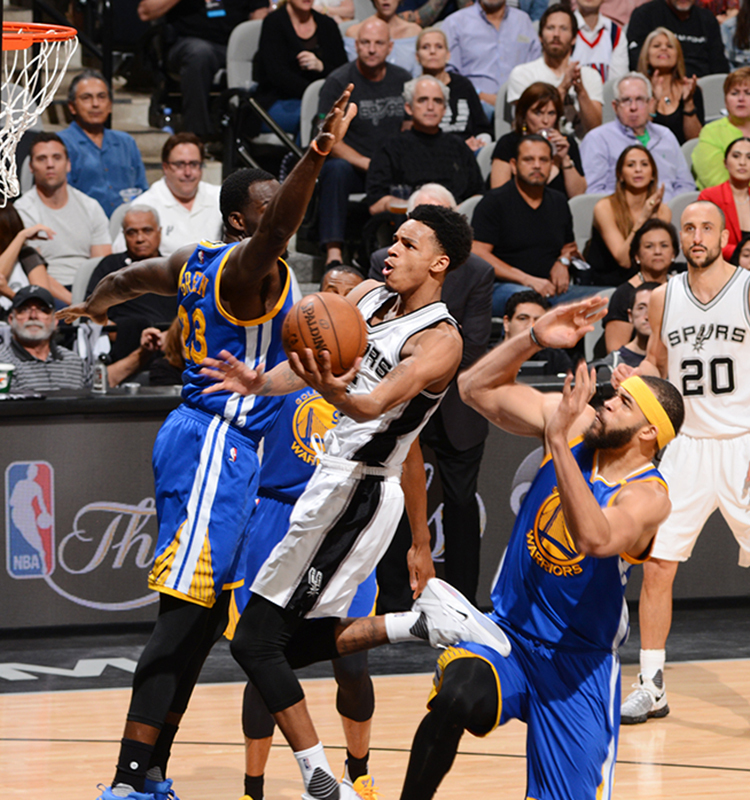 Dejounte Murray #5 of the San Antonio Spurs goes up for a shot against the Golden State Warriors. San Antonio Spurs fans will always wonder “what if” as they faced the Warriors in the Western Conference finals without starting point guard Tony Parker and lost All-Star Kawhi Leonard to injury during the first game. Parker is expected to be out at the start of the season. San Antonio does return forward LaMarcus Aldridge and added forward Rudy Gay as a free agent. 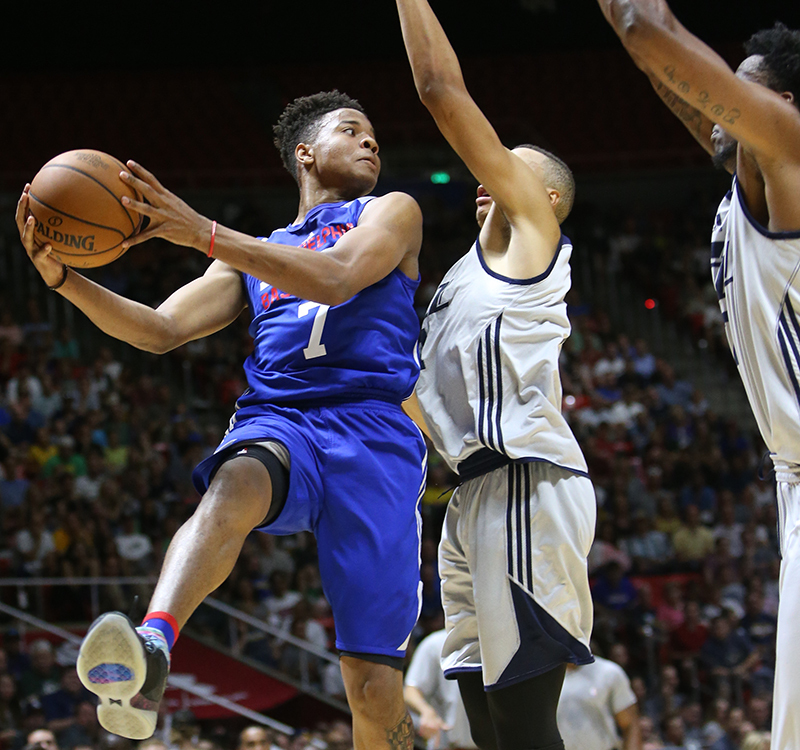 Markelle Fultz #7 of the Philadelphia 76ers goes for a lay up against the Utah Jazz. The Philadelphia 76ers selected the No. 1 pick in the first round in the previous two drafts in Ben Simmons and Markelle Fultz, respectively. Simmons missed the entire 2016-17 season with a foot injury. While most of the attention has been on Ball, there will be a lot of eyes on Fultz this season. The 76ers open against the Washington Wizards. DeMarcus Cousins #0 of the New Orleans Pelicans goes to the basket against the Sacramento Kings. 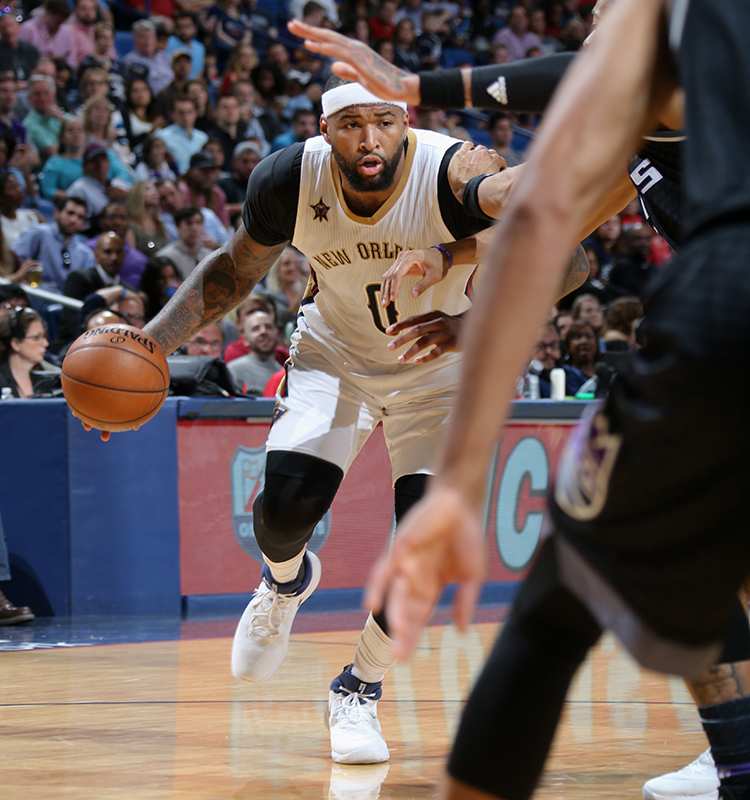 New Orleans Pelicans All-Star center DeMarcus Cousins recently said he is looking forward to getting revenge in his first game at Sacramento. Cousins had an up-and-down career with the Kings before being shockingly traded on the night of the 2017 NBA All-Star Game in New Orleans. Cousins was disappointed that Kings owner Vivek Ranadivé and general manager Vlade Divac weren’t more open about their intentions to move him.